CTS Termite and Pest Control are the leaders in termite protection and rated No. 1 on the Gold Coast. Finding termites can leave you in a panic, wondering how many there are, what damage they’ve caused, and how to get rid of them! Our Experts have answers to all your questions and understand the importance of permanently eliminating termites, quickly! For more information and to arrange an urgent onsite visit call our friendly staff on 1300 664 971. If you are calling outside of business hours, leave us a message and we will get back to you asap. Ineffective treatments can leave you believing your termites are all gone only to find they have never been completely eliminated and continue causing thousand of dollars in damage. 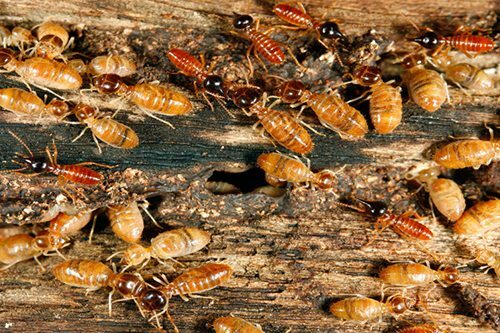 Our highly trained staff of Technicians understand how termites work, they will discuss treatment options and prices with you onsite and offer solutions that guarantee total termite elimination. Treatment can be carried out immediately. 1 in 3 homes on the Gold Coast have termites and the 2 most common species in SE Qld are the Coptotermes and the Schedorhiotermes. The Coptotermies are an extremely aggressive termite and can cause up to $1000 worth of damage in a week. As even the best insurance policy does not cover for termite damage, once we have treated directly on your active termites, starting the colony elimination process we can discuss options on ensuring your biggest investment is fully protected from the threat of future attack. 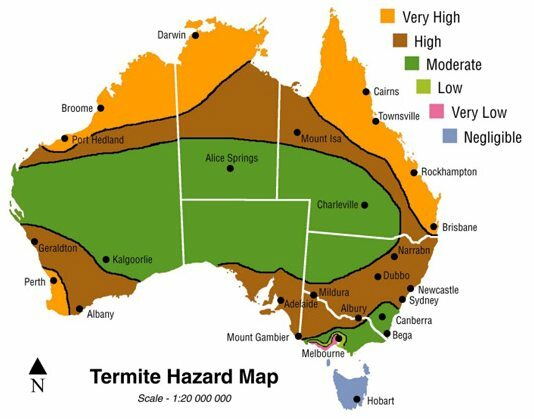 If you have found termites OR think you may have termites call us on 1300 664 971.